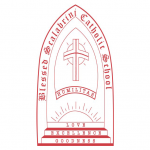 Food4Students will no longer be able to provide their Tuesday and Thursday hot lunch service to Blessed Scalabrini as of November 29, 2018 due to the limited number of orders received. The school, in conjunction with the Catholic School Council, has contacted Extreme Pita to provide their Ministry compliant lunch options on Tuesdays and Thursdays as a replacement starting Tuesday, November 20, 2018. Please see the attached information and order form.